The son of a filmmaker, Emilio has been familiar with cameras and sets since an early age. He took a serious interest in photography in his teens and by senior year he was booking his first projects as a bona fide photographer. Emilio's photographic skills are enhanced by his natural instinct and eye for detail. He has become a sought-after photographer for film and still photography. As any detail-oriented artist, Emilio is also also known for his deft knowledge of technological advances that improve the visual experience. 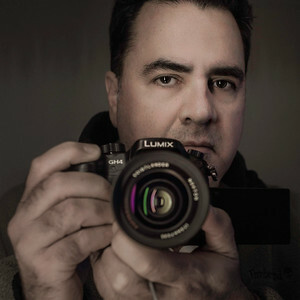 Today Emilio works as an independent cinematographer and photographer, shooting features, commercials, videos, documentaries and still photography. Emilio has collaborated with a variety of directors in the ad world for brands including Procter & Gamble, Colgate-Palmolive, Unilever, AT&T, Sprint, Budweiser, Coors, Don Q, Clorox, Goya Foods, Pepsi, McDonald's, KFC, Pizza Hut, Frito-Lay, Ford, Nissan, Suzuki, Puerto Rico Tourism Co., Stouffers, Comcast and Time-Warner Cable among many others. With experience shooting across the Mainland, The Caribbean and in Latin America, he's ready to travel at the drop of a hat. Fluent in Spanish, English and all things visual. He most recently DP'd the second season of "Kid Stew," a Suncoast Emmy awarded children's TV show featured on PBS.